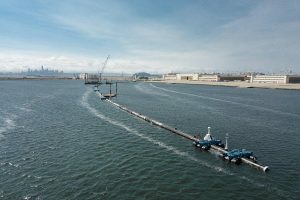 The Ocean Cleanup, a non-profit organization dedicated to develop technologies to rid the world’s oceans of plastic, is taking an important step forward in the fight against pollution with the deployment of its first ocean cleanup system this month. The system is the start of a fleet of 60 systems that is estimated to clean up 50% of the Great Pacific Garbage Patch in five years. The historic launch of the first system will be live streamed online starting at noon PDT on September 8 — thanks to a collaborative effort between The Ocean Cleanup, live streaming leader, LiveU, and live production designer, reseller, and content creator, Key Code Media. Several LiveU HEVC transmission units will strategically be placed throughout the San Francisco Bay area allowing viewers from around the world to experience the journey of the giant ocean cleanup system through the Bay and into the ocean. The solution consists of a 2,000-foot-long floater that sits at the surface of the water and a tapered 3-meter-deep skirt attached below corralling trash in the center the system’s U-shaped design. Several LiveU HEVC transmission units will strategically be placed throughout the San Francisco Bay area allowing viewers from around the world to experience the journey of the giant ocean cleanup system through the Bay and into the ocean. 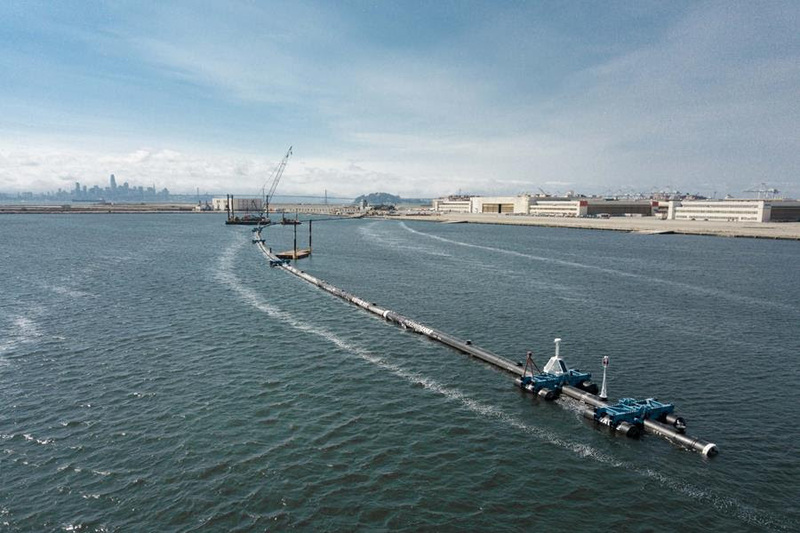 The solution consists of a 2,000-foot-long floater that sits at the surface of the water and a tapered 3-meter-deep skirt attached below corralling trash in the center the system’s U-shaped design. The Key Code Media crew will deploy LiveU’s Wireless At-Home Production model to affordably and effectively produce a high-quality 7-camera live event. LiveU units will be capturing content on land, from several boats on the Bay, and atop the Mersea Restaurant on Treasure Island. The entire production will leverage an end-to-end IP-based workflow enabling the Key Code team to pull in the feeds, switch, edit, and distribute the live content from a remote production facility located in Alameda — without the need for a satellite truck or uplink. LiveU’s HEVC units provide the live transmissions from the cameras to the production facility and add a layer of peace of mind to the organizer and production crew.